This Information Session & Sign-Up Day is scheduled for tomorrow from 10am-2pm at the community centre! Please come if you are interested in being a part of this support group! 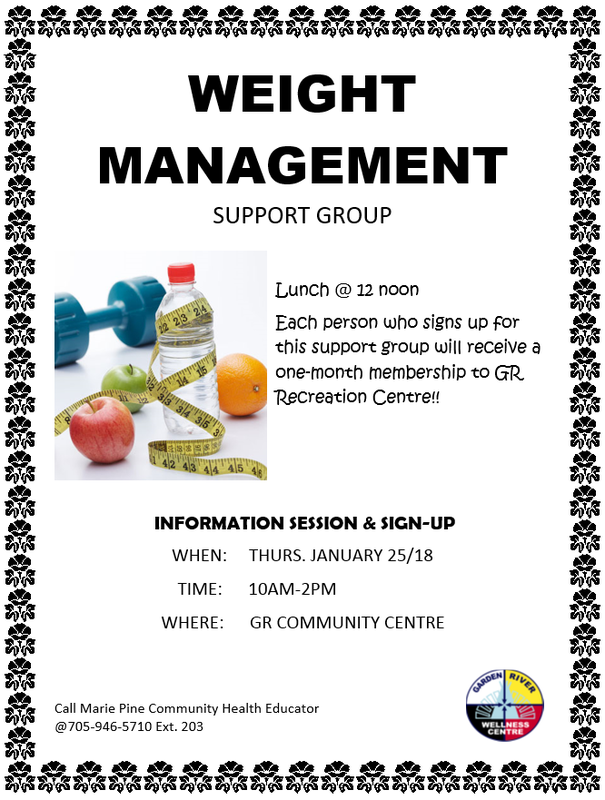 Those who attend this session will receive a one-month membership to the GR Recreation Centre. If you cannot be there in person, please give me a call and I will sign you up over the phone. A lunch will be provided, too! I look forward to seeing some of you there! Thanks, Meegwetch!